Tis’ the Season for Ugly Christmas Sweaters. I am not sure when the Ugly Christmas Sweater officially made a comeback, but it was sometime in the last decade. 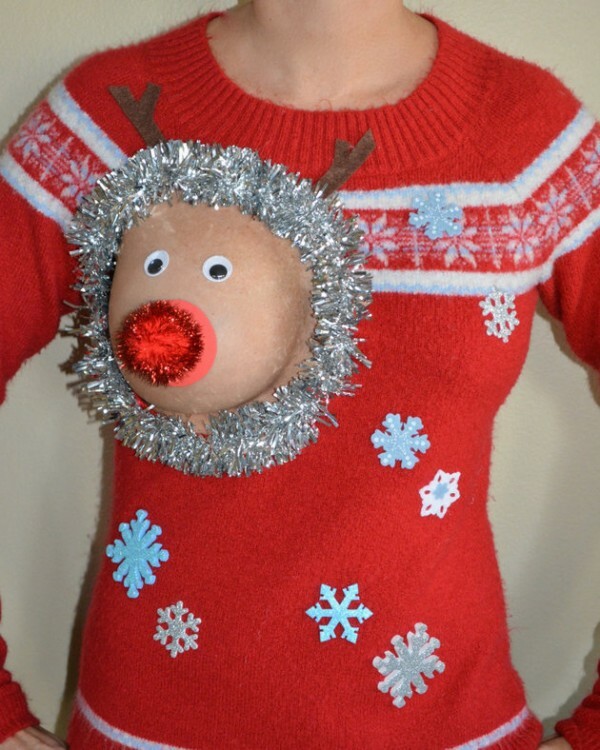 People everywhere started having Ugly Christmas Sweater parties, celebrating the gifts from your Granny that you’d otherwise throw out, or let rot in the bottom of your closet, only to wear when she visited to make her feel like you appreciated the gift. From never seeing the light of day, to being celebrated for just how festive and hilarious they are. 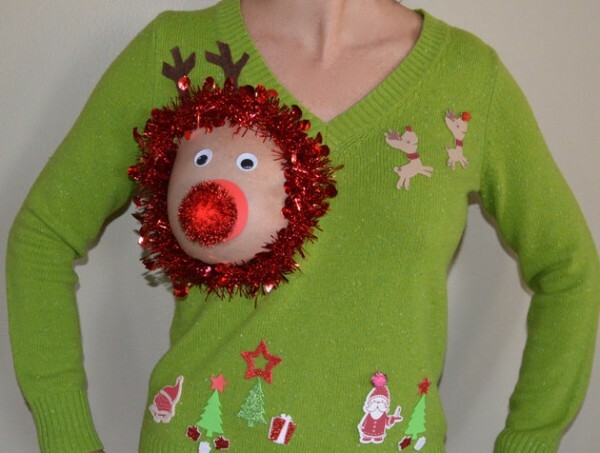 Well, an Etsy store has taken the Ugly Christmas Sweater up a notch and made it more functional, at least for breast feeding moms, which is how they are positioning it, but I think it’s more for college girls looking for a laugh, at the frat Christmas party with one exposed reindeer decorated breast. I’m getting a weird craving for Eggnog.